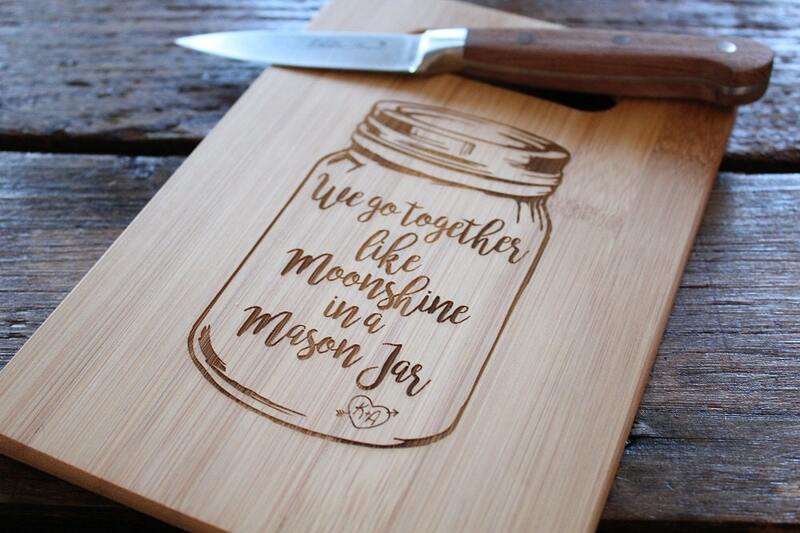 Our genuine Bamboo cutting board features a Mason Jar w/We Go Together Like Moonshine In A Mason Jar and a heart w/Initials laser engraved in the center. 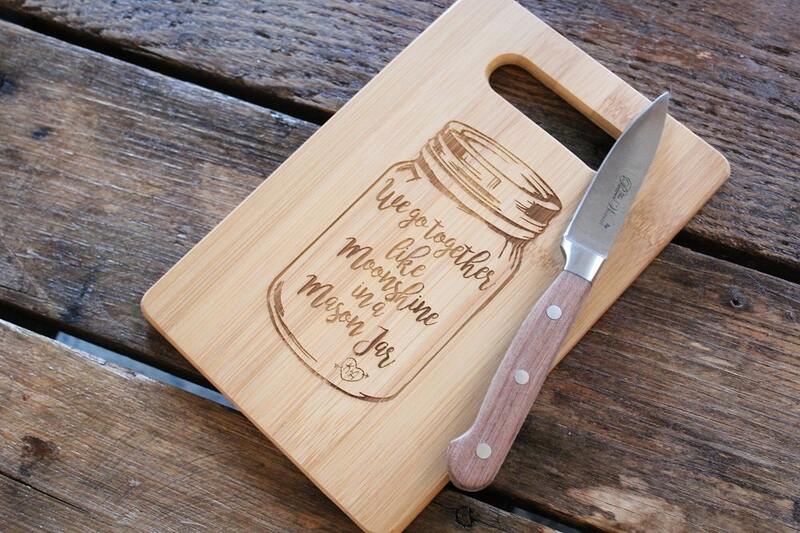 This is a small cutting board. 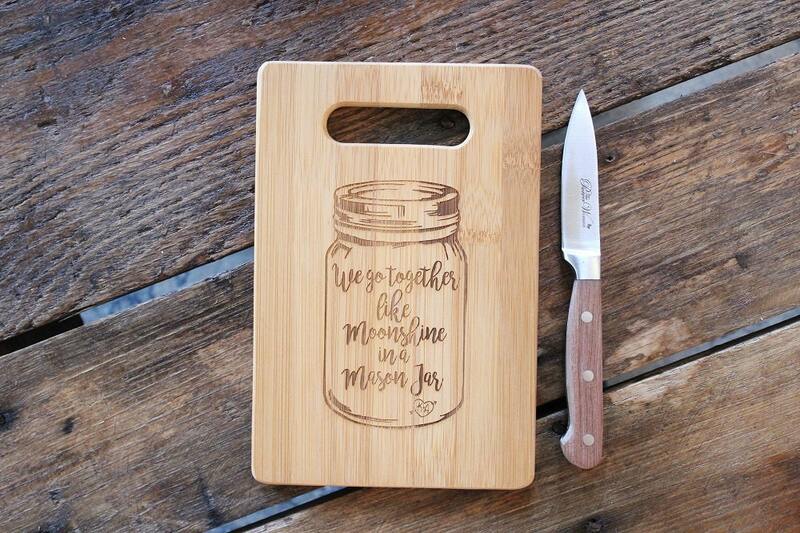 Perfect for cutting up something small like a block of cheese or an apple, perfect size for small items so you don't have to pull out your large cutting board. Beautiful! 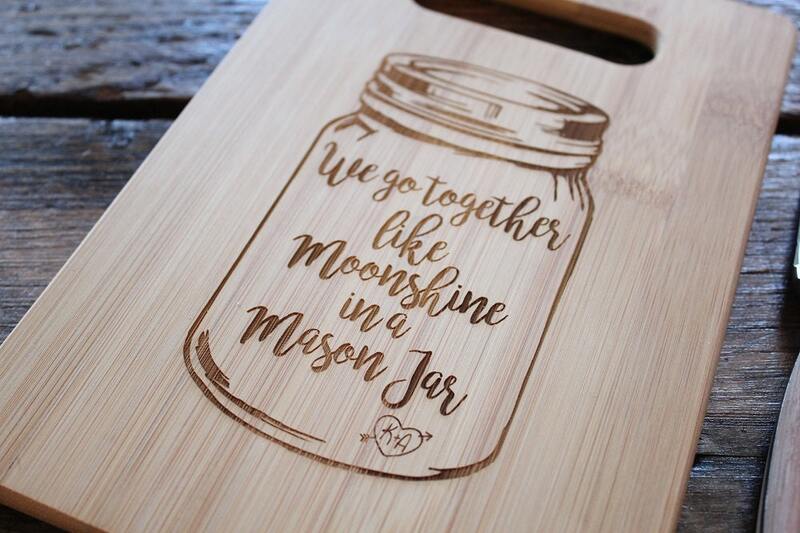 This cutting board will be placed I the kitchen. (Decoration) It's truly beautiful! 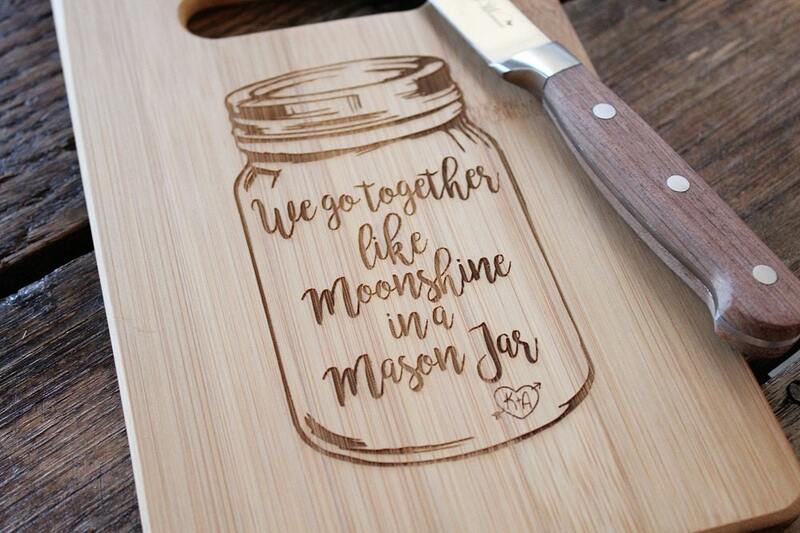 The detail in the board and the personalization is perfect! I will be ordering more products. On a personal note I contacted the seller about when the item will arrive. The seller was kind and very respectful! This was a gift for my husband this Christmas. It arrived in the mail on Christmas Eve.